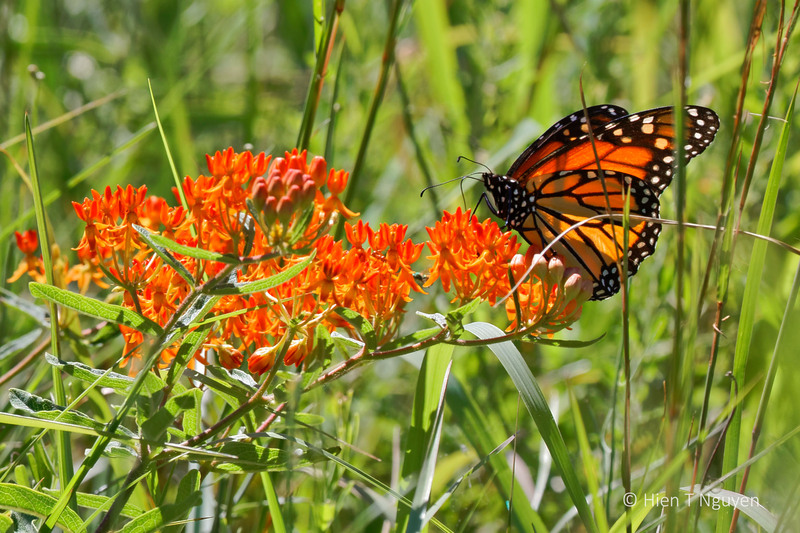 The tuberosa species is one of the prettiest, but I love all the Asclepias…and of course, the Monarch. Happy to see one again here. 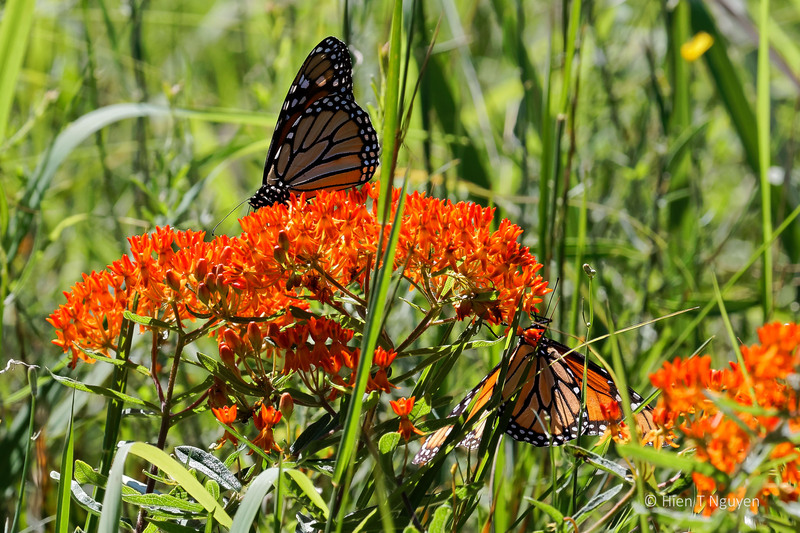 There seem to be more Monarchs this year, and these two found a plant with their favorite food. WOW! The colors are stunning! 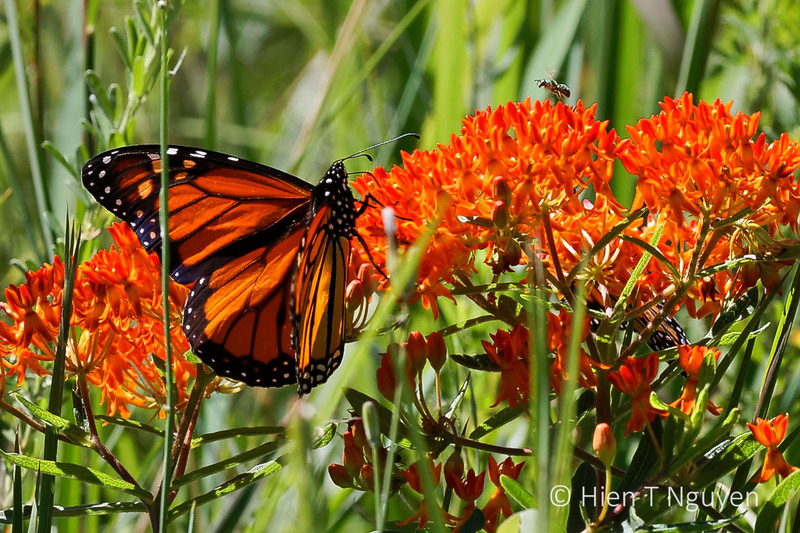 I especially like the last image, because of the light and shadows, you can see all the details of the monarch’s wing. Thanks Jerry! There were many grasses and weeds around, and the milkweed was not as tall as the ones at home, but their colors were eye-catching. Thanks Eliza! I’ve seen more of them this year. A good sign? Yes, it is. After years of nary a one, I’m seeing more this summer. Hope prevails!